NATOTELLA MWUKWAI – PANTU PALI PASUMA – MWAWAMYA : Thank you so much, on this place here it is nice – you have done well. 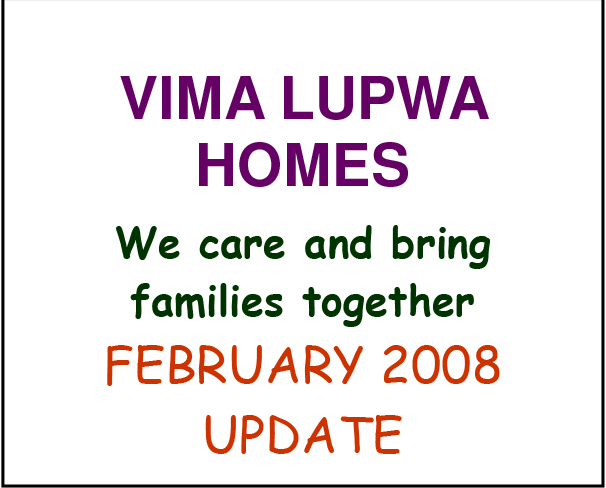 This message in Bemba tells all – a very happy and successful 2007 as we have now ente red another year, the second year of our very first Vima Lupwa Home for o rphaned and/or abused children in Mikomfwa, Zambia! As we enter this new year, we are thankful for the many projects acc omplished, others in the working and many more envi sioned for the future . n our last update we informed everyone that our we ll had run dry. Since then, it is rainy season. O ur mission is to deepen the well and add a pump this s ummer. As we experience our first rainy season it has become very clear that salvaging the water from the roof is a marvelous way to collect and store preci ous water. The roof has been strengthened to hold gutte ring which is catching nature’s liquid gold into fo ur large barrels. 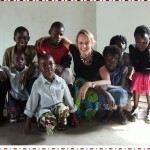 During Zambia’s impressive rainstorms the se barrels fill within thirty minutes! 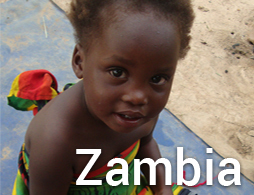 In Zambia, rain means life. 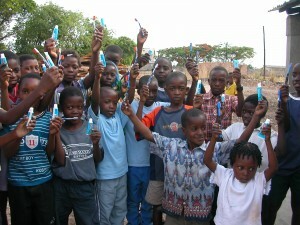 Without a healthy dose of it, crops fai l, animals starve and people become ill and die. He avy downpours clear the air of smoke and ash created by burning garbage while washing the same off trees a nd bushes revealing the most luscious green shades . However , the reality of the situation right now is that al though rain is life it can also bring sorrow: Zambi ans are faced with yet another hurdle to overcome. The re has been too much rain this year: floods throug hout Zambia - bridges and roads have washed away - full crops destroyed leading to large food shortages in a country where already people are suffering from mal nutrition. Besides the floods, there are countrywi de blackouts that leave the nation in hours of darknes s almost every day. 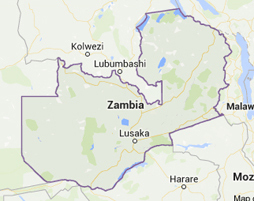 The president of Zambia has cal led a state of emergency due to flooding, crops rotting a nd lack of electricity. 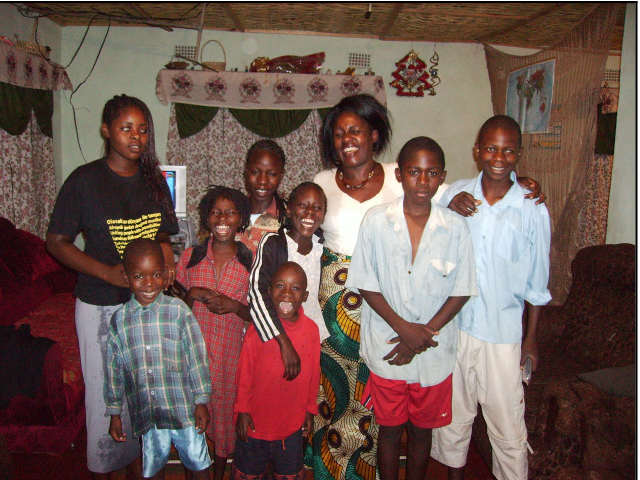 The Lupwa family gathers nightly to cook dinner over charcoal and eat by candlelight . It is time to invest in a fire extinguisher beca use of our grass ceiling board! 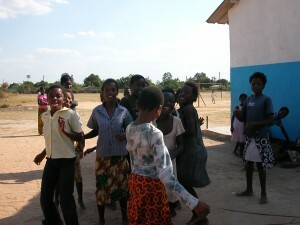 ANGELA Oberer, our partner “angel” in Florence, Ita ly, visited Luanshya in December 2007... she was there to celebrate the first anniversary of the opening of our home on December 21 st and prepared a typical Italian meal on Christmas Eve, sharing stories, singing songs in En glish, Italian and Bemba, learning Zambian dances from the children, and havi ng wonderful family time with Violet, Mr. Mwala and all the children. 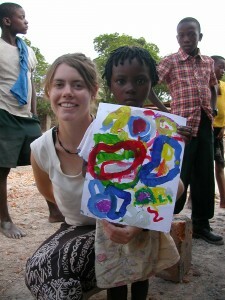 Thank you Angela for taking time out of your busy teaching schedule to fly to Zambia , take photos and provide us with first-hand updates on the progress since ou r last update: All children passed their classes in 2007 and are moved up into the next level of classes, which began last week. 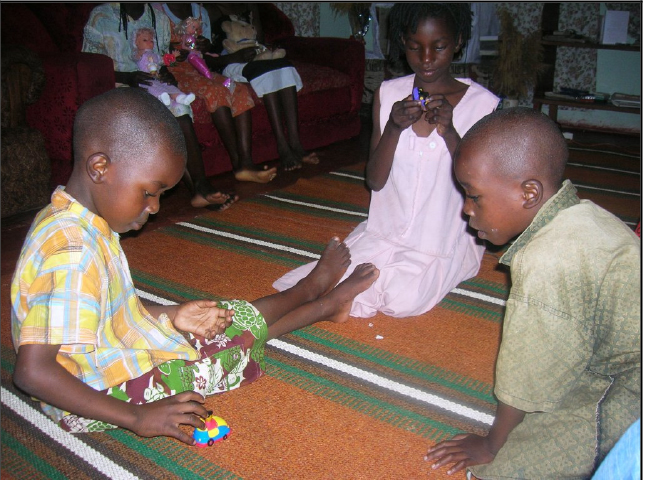 A private teacher has been found who will come to the home twice a week to tutor the children in English, thus enabling them better success in the language of sch ooling. An entire field of beans and ground nuts [peanuts] has been planted and had started coming up – but if the rains continue, these will rot before maturati on..